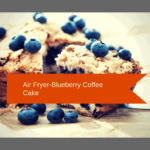 This is an easy recipe, and it’s easy to make the night before, so you can keep this for company, but this coffee cake is even better right out of the air fryer. It is light and airy and pairs well with a glass of hot chocolate or a cup of steaming coffee. 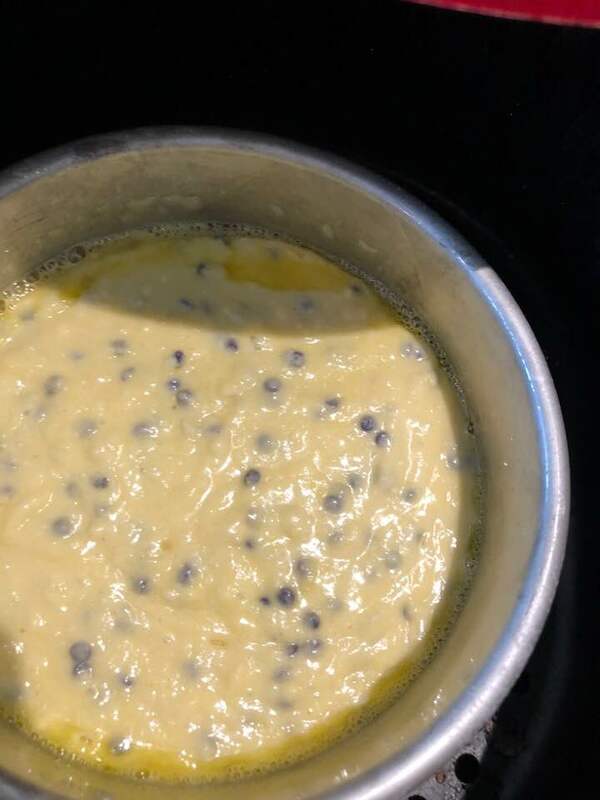 I added a 1/2 a cup of fresh blueberries into the batter, we recently went blueberry picking, and we might have picked a few more than we needed, LOL. but if you do not have any on hand, you can easily skip that. usually, grab a piece on the way out of the door. There is nothing like sitting down with a great piece of coffee cake, grab a nice hot cup of coffee and eating, breakfast or dessert. 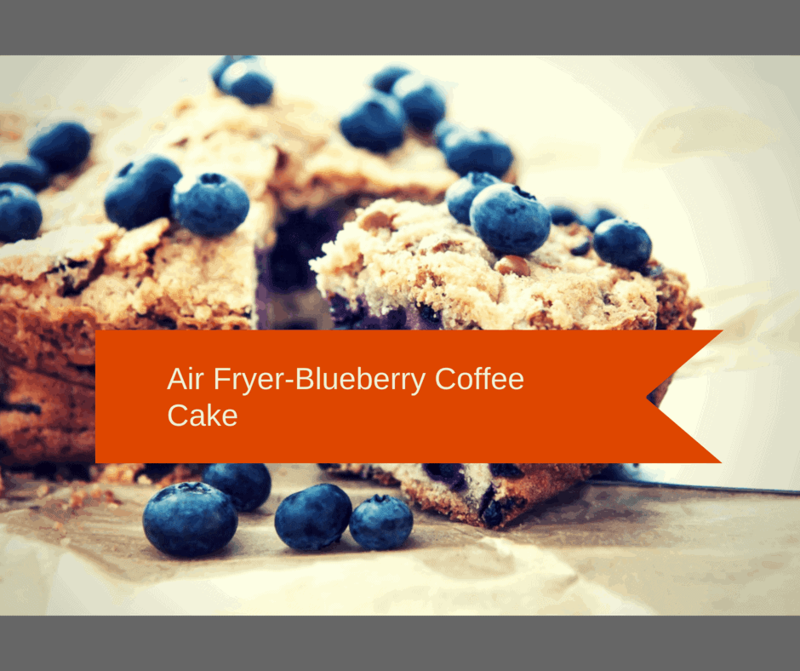 Using the air fryer for coffee cakes does a few things for me. It keeps the kitchen cool since I am making this in August. The entire kitchen did not get hot. I can set the time and walk away, the air fryer automatically shuts off. If you need more time, you just set more time, I always set the time for less time than I think it will take because I like to make sure it’s done, but not too done. And since every air fryer is different, I suggest that you do the same. 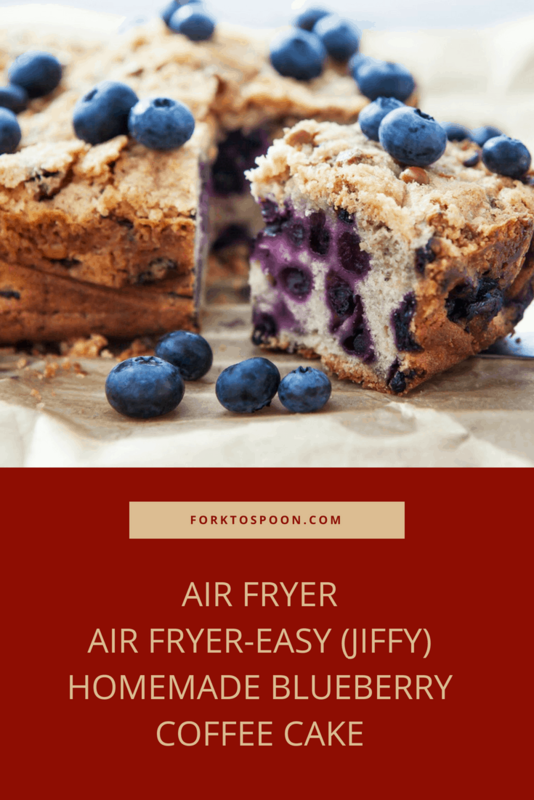 Remember recipes for Air Fryer are variable, they are dependent on your model of air fryer and the wattage of your air fryer, no two air fryers are alike. Be sure to mix in other fruits if you would like to, it’s your recipe, add strawberries, add raspberries, next time I made this, I might add some lemon peels and see how it does, it would be a Blueberry Lemon Coffee Cake, doesn’t that sound good? This would make a great recipe to bring to a potluck, office luncheons and even Christmas parties (think about mixing in fresh cranberries). I hope you and your family enjoy it! Start by grabbing one of these mixes at your local grocery store. 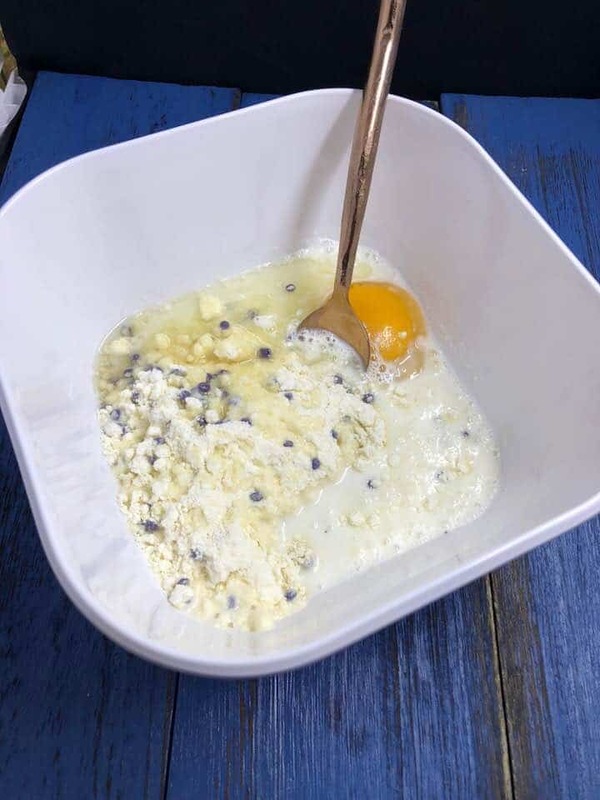 Mix the egg, milk, mix, and oil together. Please the pan (filled) in your air fryer. This is what if looks like done. 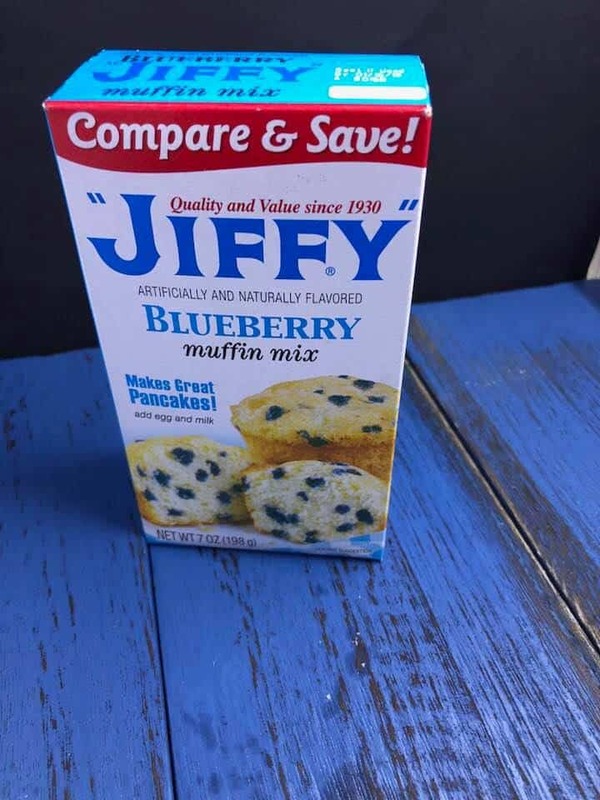 Add all of the ingredients except blueberries in a small mixing bowl. MIx until well combined. 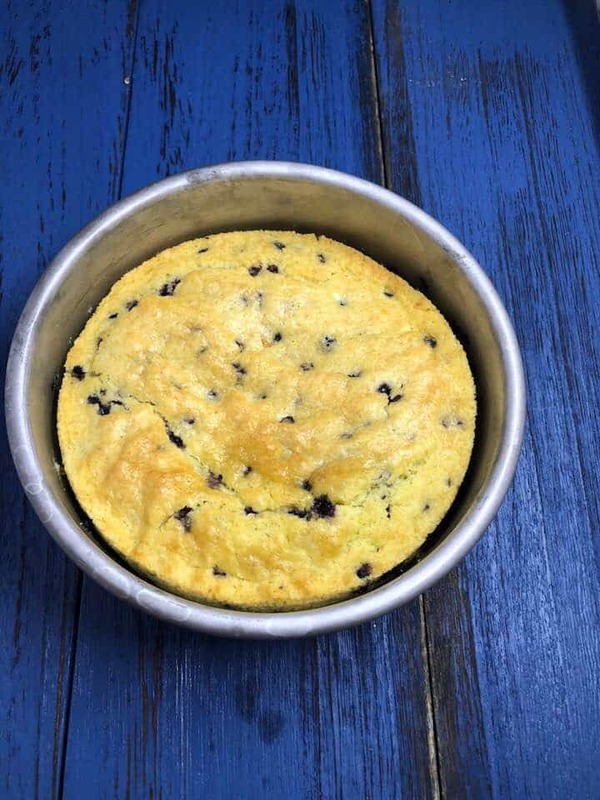 Pour the prepared batter into an air fryer safe pan, and set the time for 10 minutes at 250 degrees F. After 10 minutes, check to add an additional 5 minutes, check and see is it done? If not add more time, otherwise check with a toothpick in the center of the coffee cake, if it comes out clean, remove from air fryer. 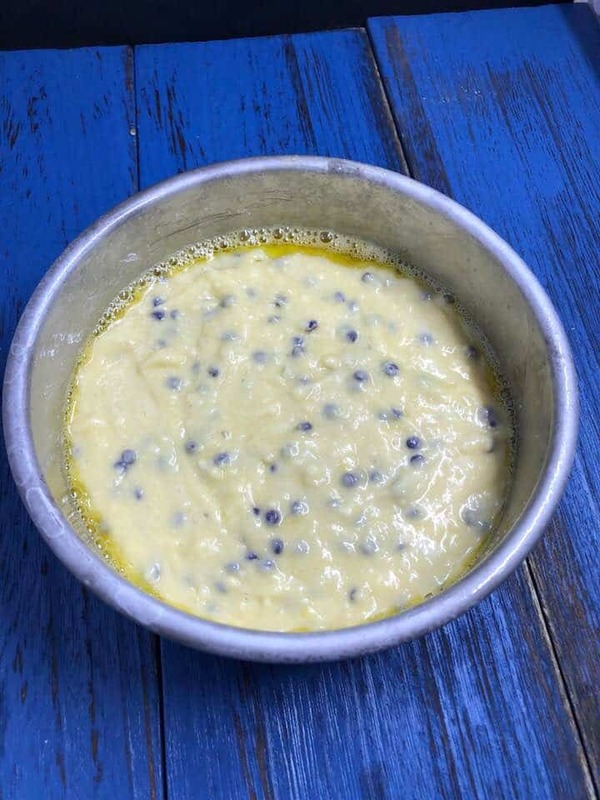 the cake and add it when you check the cake after 10 minutes.